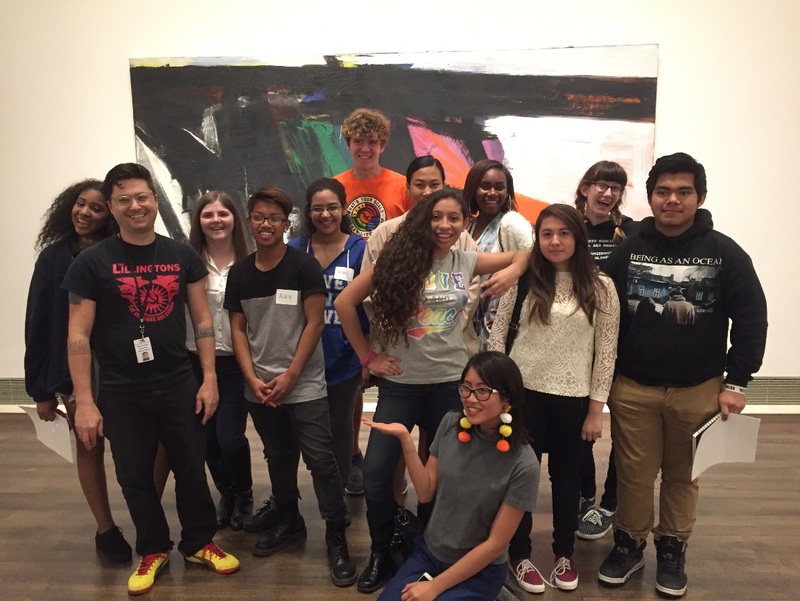 hang@MFAH (Houston Art New Generation at the Museum of Fine Arts, Houston) is the Museum's teen leadership group for motivated high school teens interested in everything from talking about art to video-game hacking. Throughout the year, hang@MFAH members spend time with a mentor artist in the galleries to discuss works of art and explore concepts through analog and digital tools to develop creative and critical thinking skills. 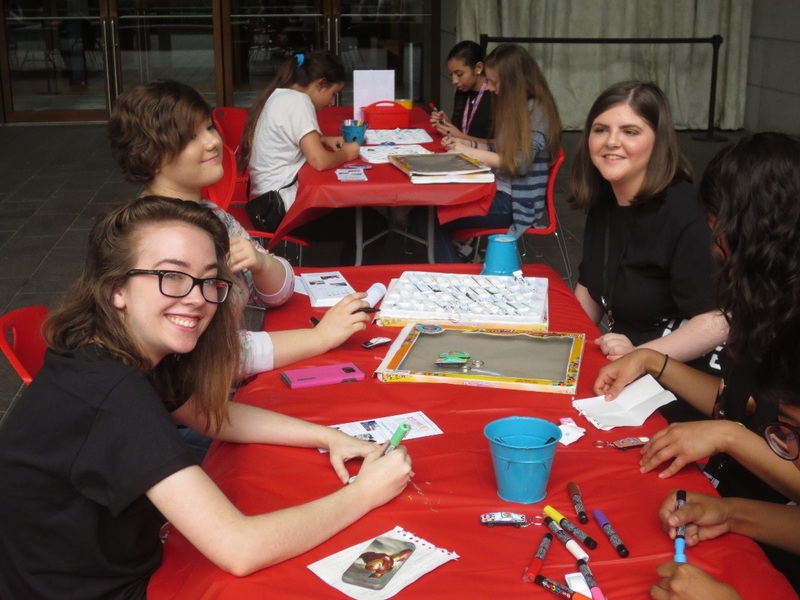 Hang@MFAH members organize teen-focused events, produce new ways to see the MFAH collections for their peers, and explore careers in museums through specialized opportunities. With approximately 25 hang@MFAH members, the program builds intellectual curiosity through a strong mentoring network outside of school hours. 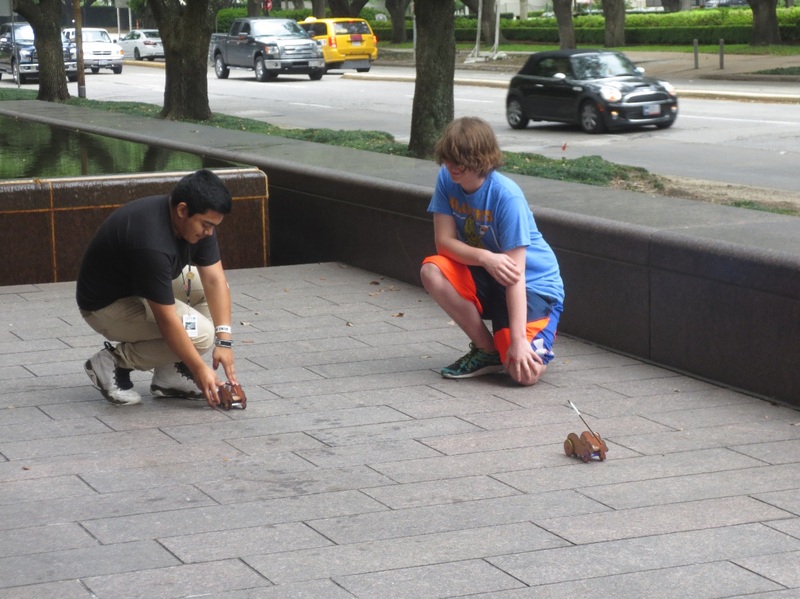 This year hang@mfah hosted an open house for teens called “Driver’s Ed” that included a DIY-inspired art-making activity, food truck, tours of the exhibition Sculpted in Steel: Art Deco Automobiles and Motorcycles, 1929–1940, and a screening of the classic 1969 movie The Italian Job. The teens worked persistently for an entire semester to create a unique experience for participants, conceiving and implementing everything from promotional flyers to art-making activities. Inspired by street art, the teens designed a mousetrap car made from laser-cut wood and everyday materials. 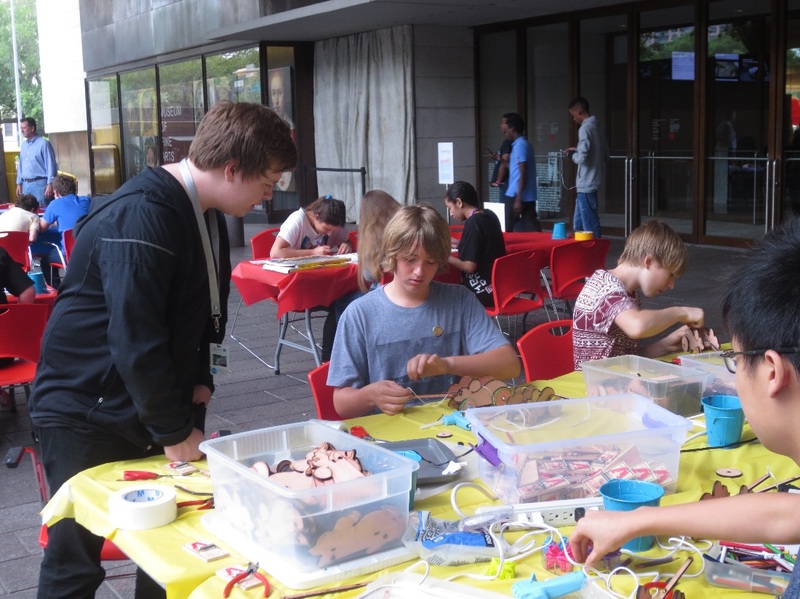 Participants relished customizing and racing their cars. 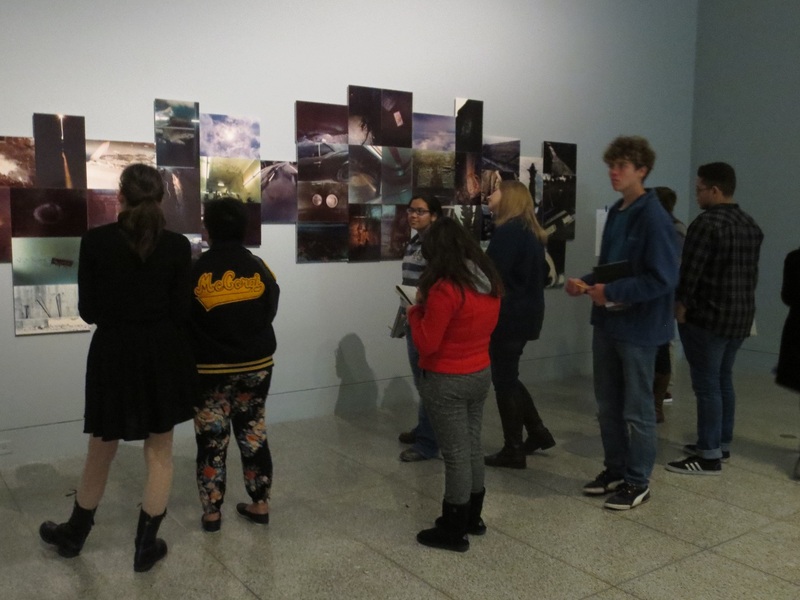 Hang@mfah teens refine their critical thinking skills through gallery conversations that encompass the Museum’s encyclopedic collection. Guided by mentors, artists and curators the teens hone their skills and gain confidence in discussing works of art, and also explore career opportunities available in museum and art related fields. For the 2016-2017 academic year, hang@MFAH teens will embark on developing an augmented reality (AR) experience for peers to engage with works of art in the MFAH permanent collection. Current gallery conversations examine New Media art, the practice of exploring technologies including digital art, computer graphics, computer animation, virtual art, Internet art, interactive art, video games, computer robotics, and art as biotechnology. In the coming year hang@MFAH will capitalize on the growing interest and fascination with augmented reality, notably seen in the wide popularity of Pokémon Go, a video game with augmented reality and location-based services. The 2016-2017 hang@MFAH project will not only tap into the interest of teens and augmented reality, but will create something unique to the Museum through the lens of the teens.